UPDATED: Stock in Oslo-based Norwegian Air was taking off once again on Monday, after Lufthansa said it was evaluating a possible takeover of Norwegian Air. Norwegian Air’s founder and boss Bjørn Kjos confirmed he’s had direct contact with his counterpart at Lufthansa over “interest” that can pit the giant German carrier against the Spanish and British firm International Airlines Group (IAG), which owns British Airways. Norwegian Air had stated last week that it was in contact with others interested in buying the airline that started out offering shuttle service on Norway’s West Coast. It has since evolved into a domestic, European and now intercontinental carrier emphasizing low fares. On Monday its share price was up more than 10 percent, to nearly NOK 274 by early afternoon, and it was clearly the most active on the Oslo Stock Exchange. Norwegian’s stock has been in play since IAG confirmed earlier this spring that it had acquired around 5 percent of the airline’s shares and wanted to discuss a merger or acquisition. 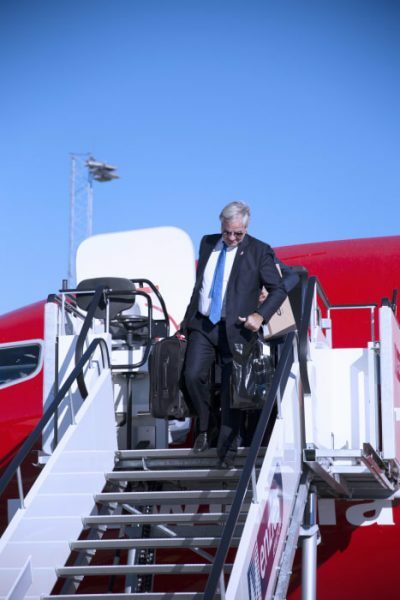 Norwegian Air’s founder, CEO and major shareholder Bjørn Kjos was not receptive, however, and the share price later fell back down from highs over NOK 300 to less than NOK 250 heading into the weekend. Oslo-based newspaper Dagens Næringsliv (DN) reported that Lufthansa’s interest brings Norwegian Air closer to being the target of a bidding war. Norwegian Air officials were otherwise staying mostly mum, refusing to comment on Lufthansa’s interest. “We can only confirm what we have said earlier, that several players have reported interest in the past few months,” Norwegian Air spokesman Lasse Sandaker-Nielsen told DN. Lufthansa’s interest raises questions because it’s a major carrier within the Star Alliance of cooperating airlines that also includes large airlines and intercontinental carriers like United Airlines of the US. Norwegian’s arch-rival Scandinavian Airlines (SAS) is also a member of Star Alliance, with SAS and Lufthansa cooperating on several routes and serving as feeders for one another. Bringing Norwegian into the fold could make for an unusual new alliance, not least since Lufthansa, SAS and United are among traditional long-haul carriers having to compete against the lower-cost, lower-fare airlines. Martin Stenshall, an airline analyst at Danske Bank Markets, said that he thinks Spohr’s remarks can “change the game” around Norwegian. He noted that Lufthansa has, during the past few weeks, sent its own team of mergers and acquisitions experts to Norway to examine Norwegian. Kjos told NRK that he thinks it’s “too early” to sell Norwegian. “Norwegian has so much exciting ahead of it, but that’s my personal opinion,” Kjos said. IAG’s chief Willie Walsh had told his own shareholders at last week’s annual meeting in Madrid that he and his management team were still “open-minded” about Norwegian, but he denied his company would get involved in a bidding war.